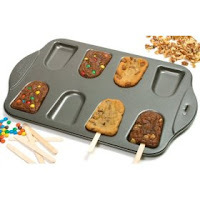 I kind of want the cookie popsicle pan. I think it would be really, really fun to make cookies-on-a-stick. I wonder if the pan could be used to make mini-cakes as well, or if it would be too narrow at the top (forming a wedge-like cake). Then again, maybe a wedge-like cake would be kind of cool. I could stack the mini-wedges on top of each other, layered with whipped cream, jam, fruit or frosting in between...making a cake tower. Oooh. DORK!!! I think these magnet-pins are really cool. Do I need magnets? No. I just think they look cool, because they look like thumbtacks/pushpins but they are magnets. And they're pretty cheap (haha kind of. 8 magnets for 5 bucks. Not *actually* cheap). Anyway, I like them, and I think they'd look cool in my cube at work (even though they're called "fridge pins"), on my metal shelf, or on my storage cabinet. People would see them and think I had used my super-strength (that I don't have) to push thumbtacks into a piece of metal. Then I would really be cool. DORK!!! I have never played Wii, but I am seriously contemplating buying one the next time I have a sizeable chunk of cash (aka never). It looks totally fun, and now they have this crazy workout program/add-on you can buy...you know, if tennis and bowling and boxing and such aren't enough. You can run down a virtual path, or do gym (as opposed to holistic-wellness) - based yoga. Or do push-ups (which you totally can't do without a Wii, right). Or other stuff I'm not sure about. But it looks cool anyway. It seems like a good solution for people who don't have time to go to the gym (cough cough), but maybe not for people who are too lazy to go to the gym (who could that be? not I, certainly...). Maybe if I only had this video game, The Boy and I would work out in the evenings, instead of me watching him do push-ups while I brush my teeth! I'm skeptical...but I still think Wii is AWESOME. But like I said, I've never actually played. DORK!!! Do I have 800 business cards? No. 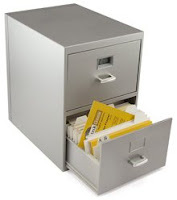 But if I did, I could store them in this awesome little filing cabinet. It's no secret that I love organizing, so this little guy would be perfect for me. If I had business cards to organize. Which I don't. So why am I still all over this little guy? So cute, with its little mini-drawers and mini-files. Adorable! But totally useless...unless I wanted to store MY business cards in here. But that would be REALLY pointless. Emphasis on the REALLY. No, really. DORK!!! 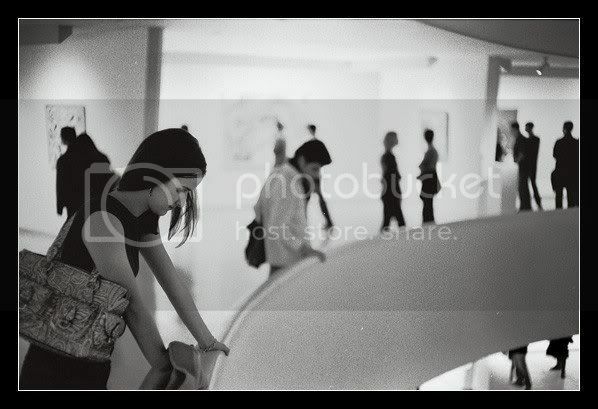 I titled this post "2+2=4" because this is post #224. DORK!!! I added Perez Hilton to my Google Reader, and now my unread items total 248. Granted, a lot of that is the New Yorker Arts & Leisure section, to which I thought it would be a good idea to subscribe - though it turns out that I don't usually want to read it. Dork? Also, don't forget to go to my Shared Items page to check out all the fun new things I've been looking at on the web, complete with my comments (brilliant, as always) -- and you can add it to your Google Reader (or other feed reader - or all they called feed burners?) too! Not Dork! AHHHH!!! Cookies on a stick!!! I want, I want! LOL. i totally have those push pin magnets. or used to. may have lost them in my last move. That cookie popsicle pan is completely ridiculous and fabulous at the same time. Cookies on a stick? Fine by me.